Minesweepers Competition, The Reasons Why! They are all Mechatronic Engineers, the team is created to achieve the dream of creating the first Egyptian robotics company. Why did they join Minesweepers ? 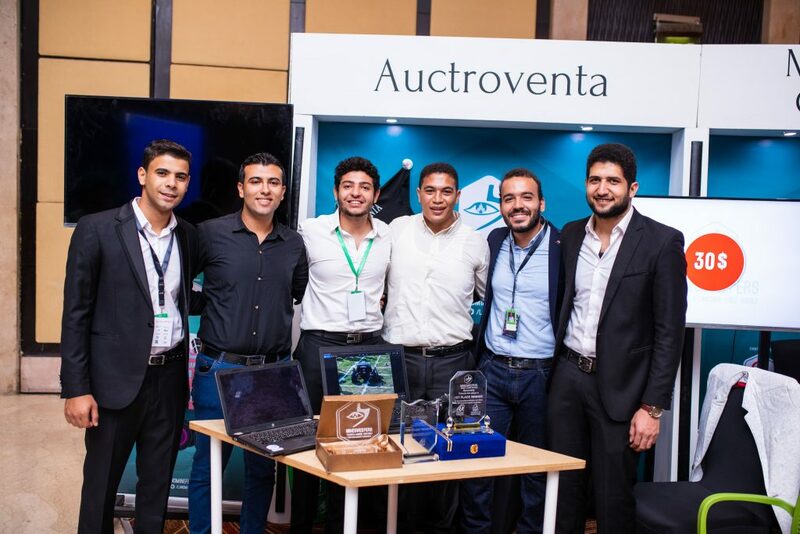 “We have got inspired by a team from our university who participated before at Minesweepers and got the 2nd place” said Yousef Desouky – The software and robot controlling manager. Yousef is interested in robotics and working in self driving cars field, he said, “We joined the competition to learn something new and gain practical experience. Actually it’s the 3rd time to participate in Minesweepers. The first time we got the 3rd place then the 4th in Malaysia, but this year we joined the competition putting our eyes on the first place and we’ve got it”. 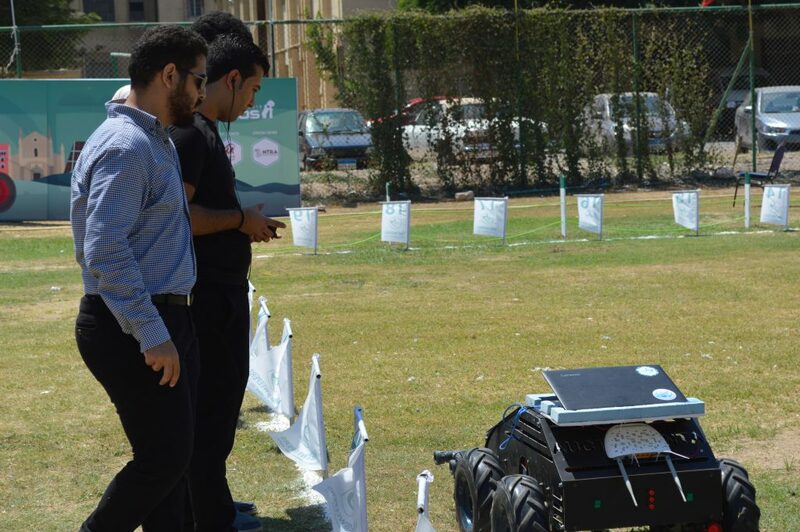 Mohamed Atef – The robot electronics and electrical director, told us how they got ready to the challenge; “We overcame the upgraded field at Egypt Local Round where the competition spirit was powerful which made the challenge more intense”. Mahmoud Anwar – The team leader said. Mohamed AbdelFattah – The robot electronics manager talked more about the journey to Madrid and said: “After being classified from Egypt Local Round with other 40 skilled teams, we took a month to get ready to the finals in Madrid. We planned to arrive first then the robot were supposed to be shipped on the plane on the same day. Unfortunately the robot has not arrived until the 2nd day, we assembled the robot, charged it and began our mission”. Mina Medhat – The robot pilot faced some problems while performing the mission, he told us: “I was anxious at first because the robot didn’t respond to my trials to control it but I pulled myself together and concentrated on detecting all the landmines. I had to go scan the whole field more than 20 times!”. 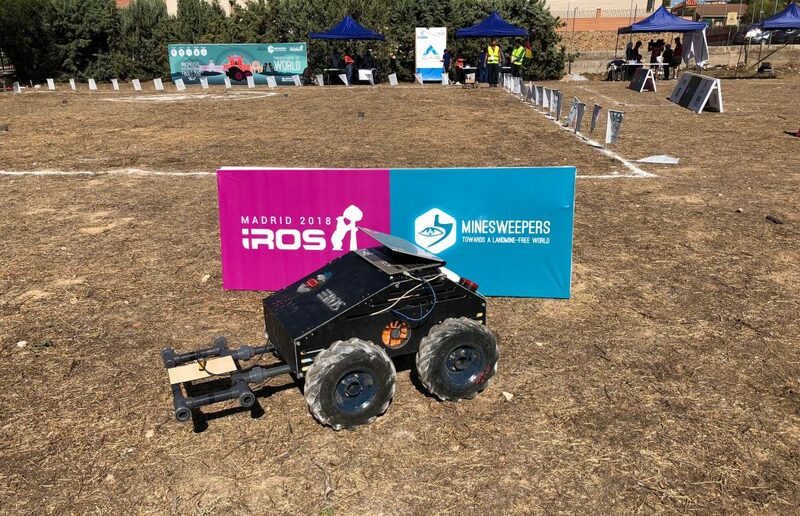 About the victory and IROS experience, Abdelaziz Tarek – The robot manufacturing director mentioned: “We didn’t see victory coming, the other teams from Spain, Bolivia and Switzerland were skilled and had well designed robots. The competition in Madrid was very intense and we’ve got surprised with our victory”. He continued: “After winning we took a tour in IROS, the flagship conference in robotics where Minesweepers was held, watching great skilled teams, we were impressed with the new technology of great companies as Clearpath Robotics and Boston Dynamics”. He stopped a while and said: “Our dream is to be there at IROS as an Egyptian robotics company, just like they did”. This is our interview with the first place winner at Minesweepers 2018 international competition in Madrid, they have their own dream and started to take real steps to achieve it. What will happen in Minesweepers 2019 and who will win?